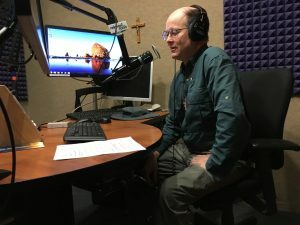 Here are the questions I answered Friday on Catholic Answers Live. The topic was “Giving Yourself to God. You can listen on-line, or access other listening/watching options here. 1. Tell us about your first experience of “giving yourself to God” when you were a rebellious 17 year old. 2. How was your dad a good example? How do fathers effect our relationship with God? 3. How do I practically give my ilife to God? 4. How do I pray so I can find out what God wants of my life? 5. How do I step into the secular world every day and keep giving everything to God? The two things seem so irreconcilable. 6. I’ve heard Steve’s talk on Holy Thursday with Jesus in the cistern prison. How does this relate to me giving myself to God? 7. I have recently pulled away from church because of the gossip and problems caused by some of the women. I want to go back to church but I feel like people are going to church for the wrong reason. 8. Don’t we give up a lot of things when we give our lives to God? 9. Is it biblical and correct to consecrate our lives to Jesus through Mary? Is this a way to give our selves to God? The names were part of incidental electronic surveillance of candidate and President-elect Trump and people close to him, including family members, for up to a year before he took office. 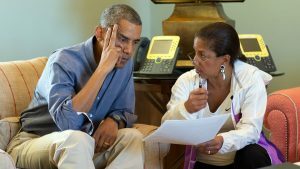 White House Press Secretary Sean Spicer, asked about the revelations at Monday’s briefing, declined to comment specifically on what role Rice may have played or officials’ motives…. Meanwhile, Fox News also is told that House Intelligence Committee Chairman Devin Nunes knew about unmasking and leaking back in January, well before President Trump’s tweet in March alleging wiretapping….